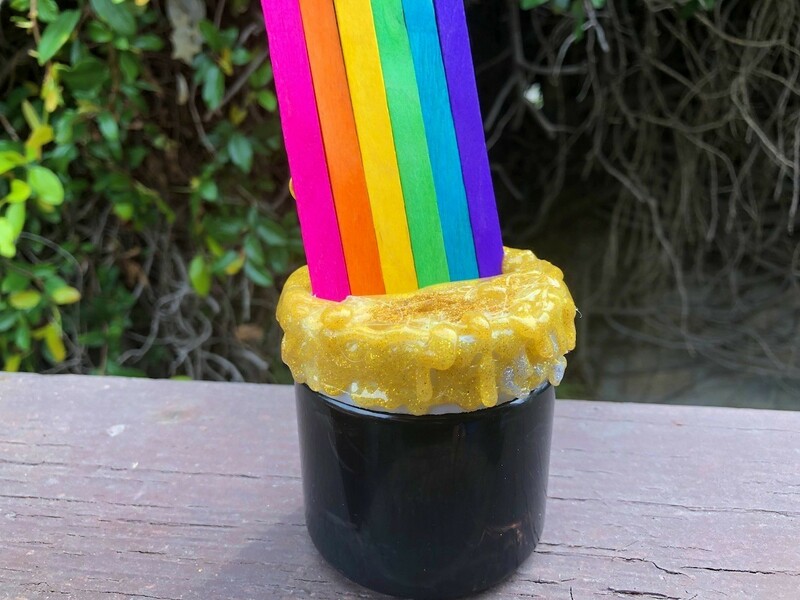 Popsicle sticks and a plastic container can be fashioned into a colorful St. Patrick's decoration and coin savings bank. 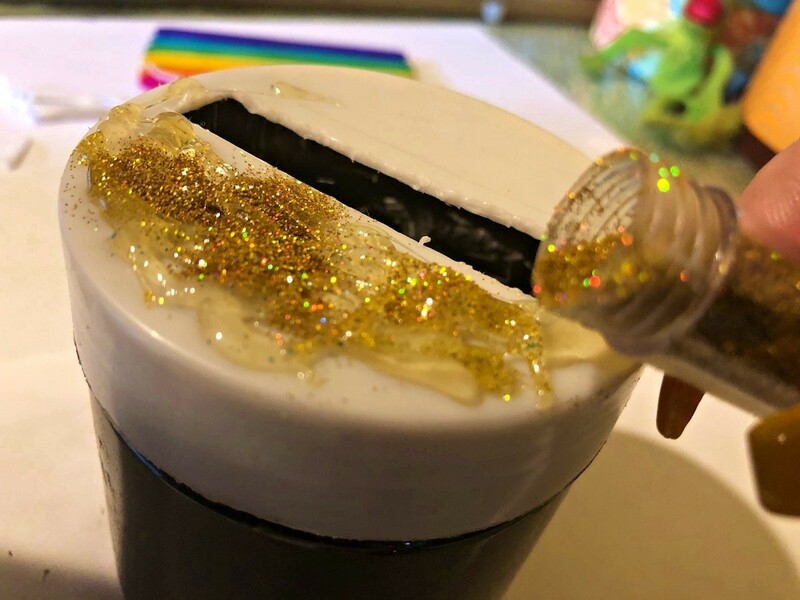 This is a guide about making a pot o' gold piggy bank. 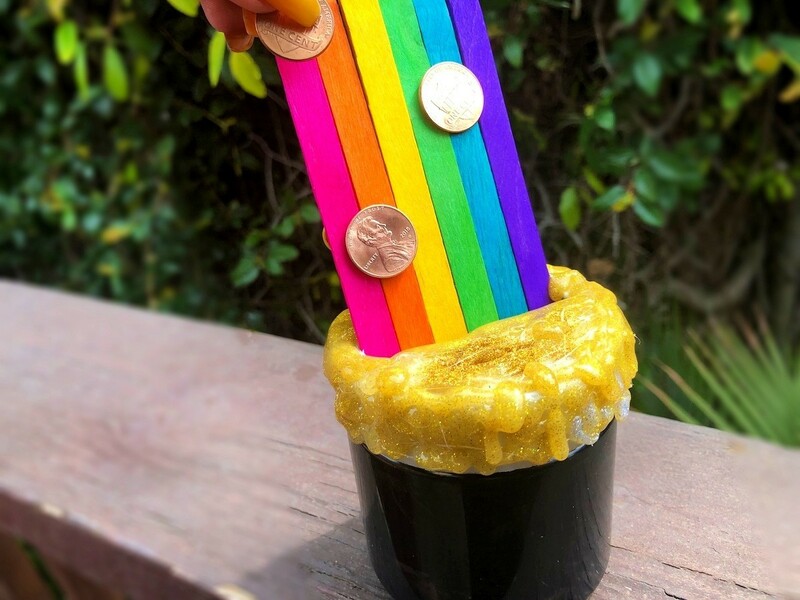 This is a fun and thrifty piggy bank to make out of Popsicle sticks, glue, and a plastic jar. You can use the rainbow as a chute to drop your coins into your pot of gold. It will be fun to save, and easy to twist open when it's full! 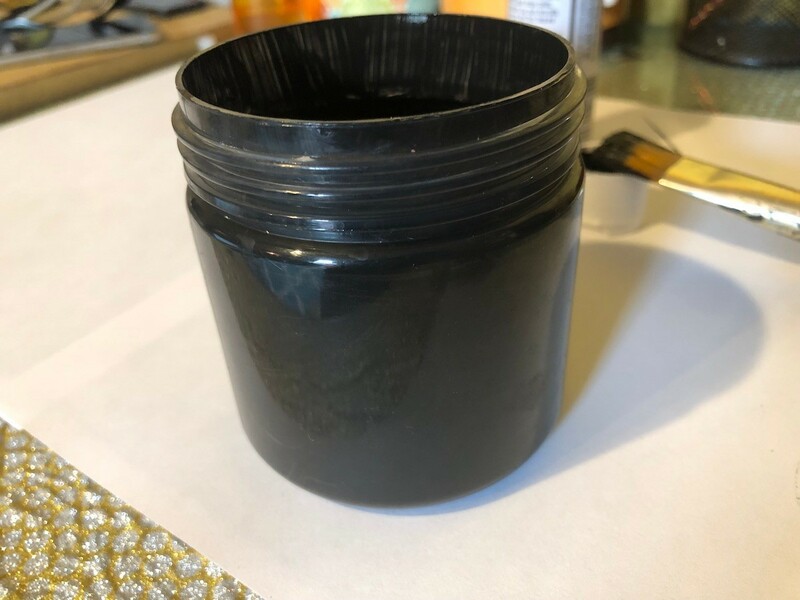 Paint the insides of the jar black. 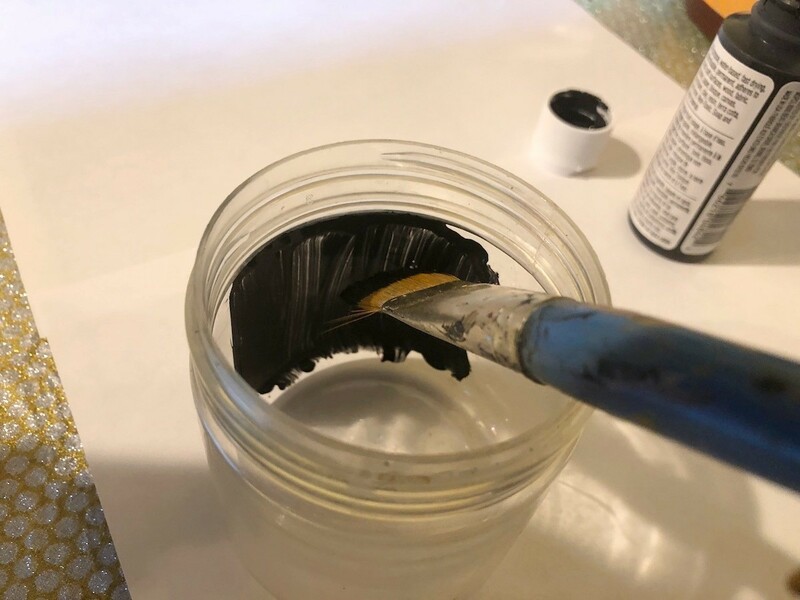 While it's drying, you can start on the rest of the details. 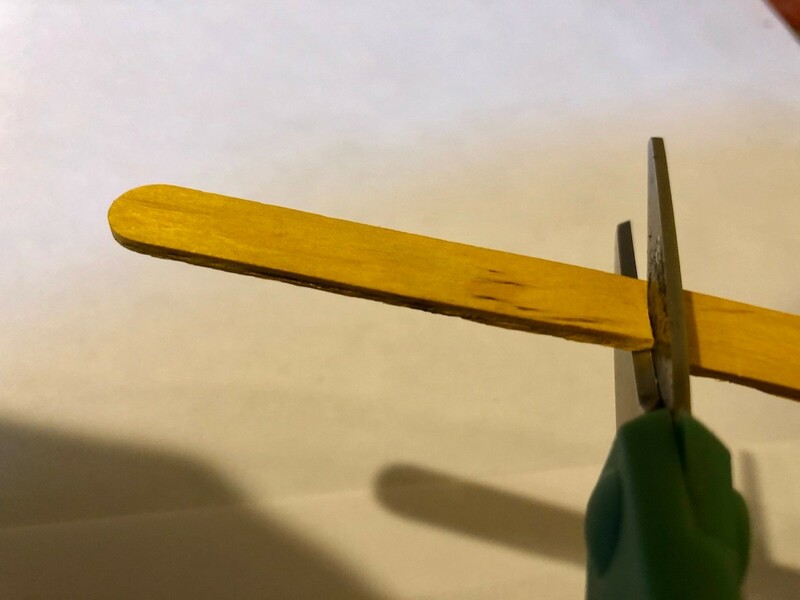 Cut a Popsicle stick in half. 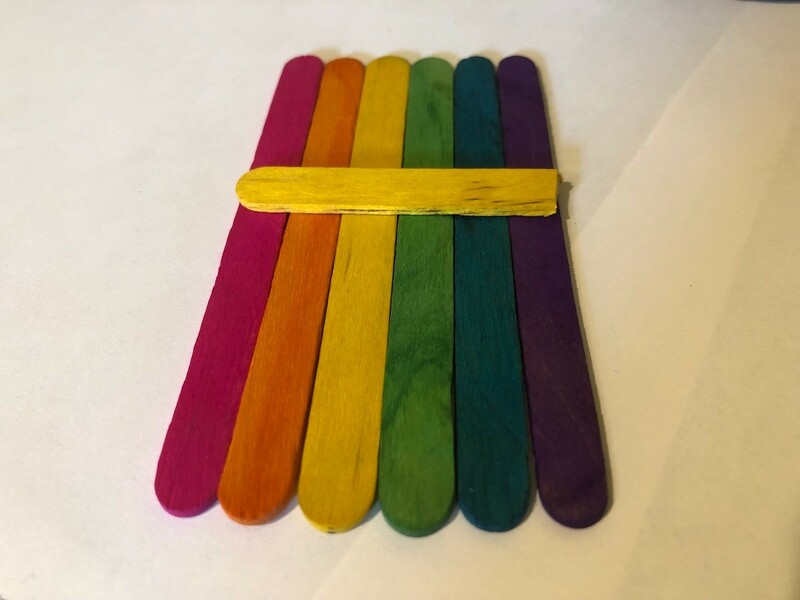 Lay out some Popsicle sticks side by side in the rainbow colour order. 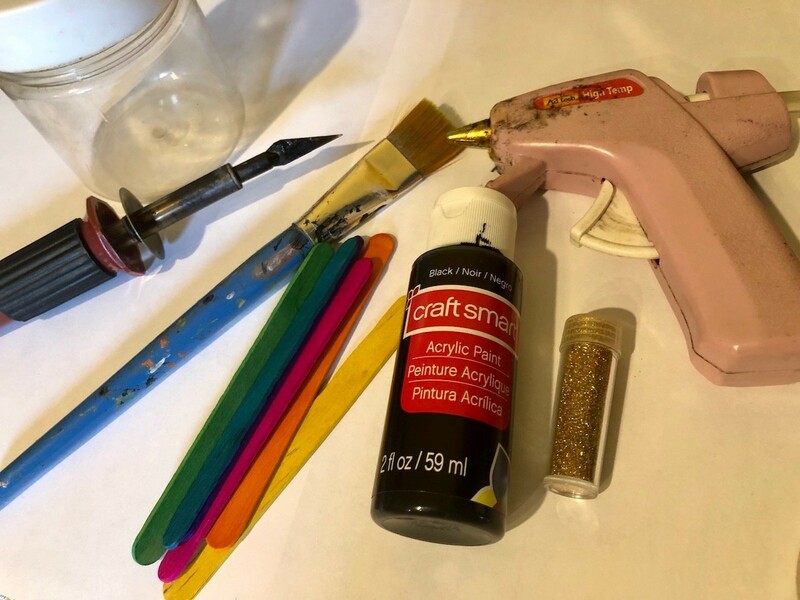 Hot glue the short piece of stick on them to hold them together. 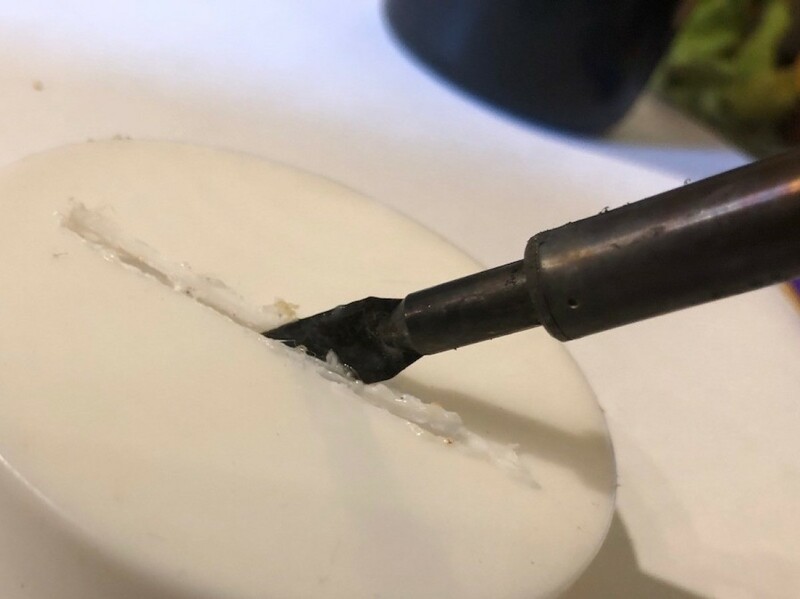 Warm up your hot knife and cut a slot into the top of the plastic lid. 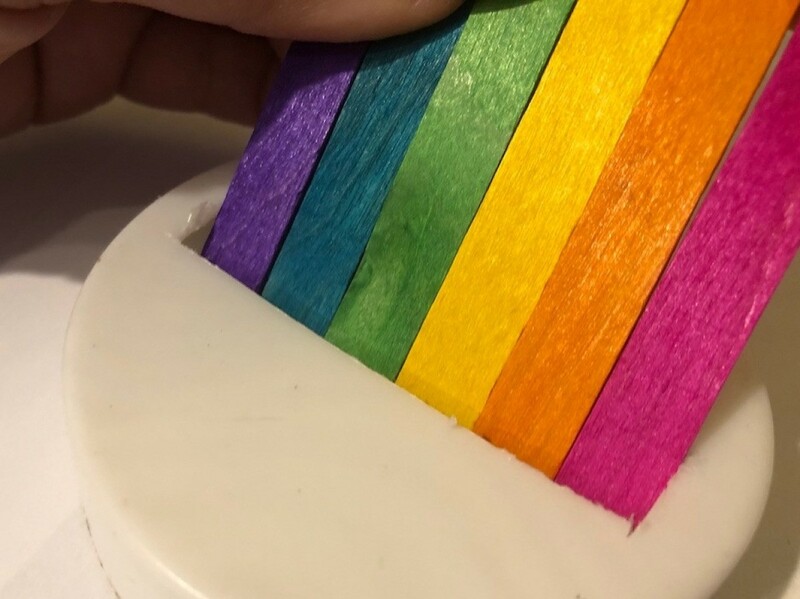 You'll want the slot wide enough so the rainbow chute fits inside of it, but still have enough space that coins can fall through after it's inserted. 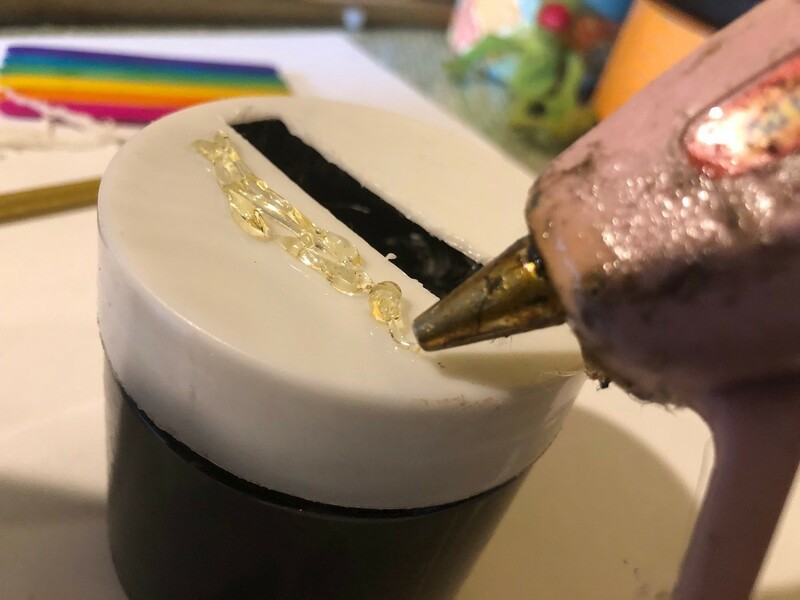 Add blobs of hot glue to the lid around the slot. 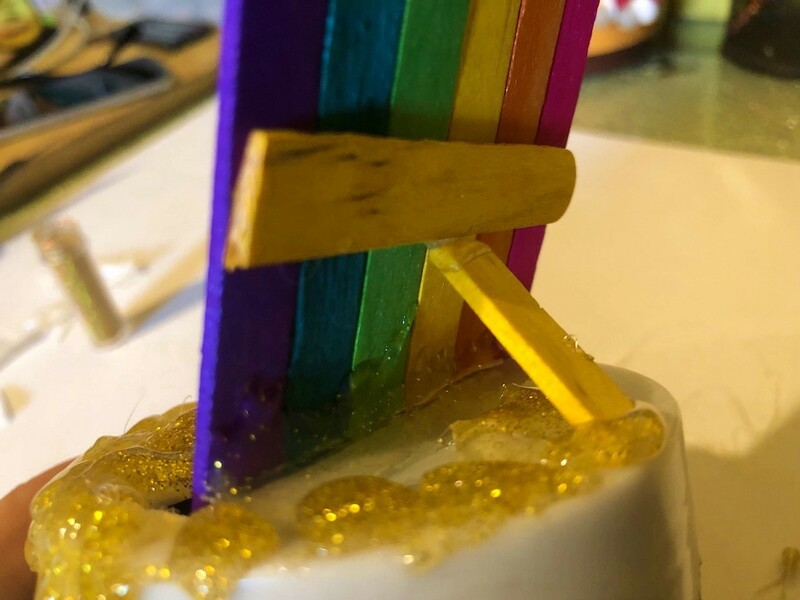 Place the rainbow chute inside the slot at a diagonal, then hot glue a tiny piece of Popsicle stick behind it to prop it up. It's ready for your coins. What a cute way to save! hi attosa you never fail to amaze me with your crafts.. can't wait to try this for my kiddo..